People often want gratification as soon as they can possibly get it, but in many cases, waiting can provide better results. This enters the picture when it comes to the submission of your Social Security application. There are those who can’t wait to start receiving a benefit, and they want to know how soon they can get it. To provide a straightforward answer, if you have earned at least 40 retirement credits while you have been working, you can submit your application for your Social Security benefit when you are as young as 62 years of age. This can be an exciting prospect, especially if you are still going to be working when you are 62. You can receive your Social Security benefit as gravy on top of your salary, right? That would put you in a great position as you look ahead toward your retirement years. This may make sense at first, but there are rules in place that limit the possibilities. 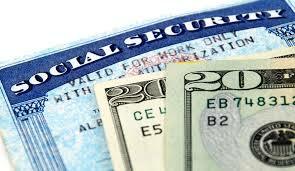 If you decide to take an early Social Security benefit when you are 62, there is a limit to the amount that you can earn before you would be penalized. The exact figure is subject to change to account for inflation, but at the time of this writing in 2015, you can earn $15,720 without being penalized. If you earn more than this amount of money during a year when you are drawing an early Social Security benefit, the amount of your benefit would be reduced by one dollar for every two dollars that you earn that is in excess of $15,720. As you can see, the early retirement option comes with this drawback, but there is another pitfall that may be even greater. You do not receive your full retirement benefit if you submit your application when you are 62 years of age. As an early benefit recipient, you would receive a reduced benefit for the entire time that you are drawing a Social Security direct deposit. The exact amount of the reduction would depend upon the year of your birth. However, under current guidelines, it would be somewhere between 25 percent and 30 percent. When you digest all of these facts, you may come to the conclusion that the sooner the better approach may not be the best way to go. If you wait until you are eligible for your full benefit when you are between 66 and 67 years of age, you don’t experience any reductions. Plus, you can earn unlimited income without being penalized. There are a lot of things to take into consideration if you want to be completely comfortable and secure during your retirement years. Advance planning is the key to a fruitful retirement. If you are ready to get started, our firm can help. We offer no obligation consultations, and you can send us a message through this page to set up an appointment: Hartford CT Retirement Planning Attorneys.